GPS devices were traditionally used in automobiles to help drivers find their way. However, they have gained popularity over time, among hiking, biking, and camping hobbyists who agree that a handheld GPS device is an indispensable tool that goes a notch higher than the commonly used Smartphones in design and functionality. This is because, in addition to being both a map and a compass, this versatile unit also records speed, favorite routes, and landmarks, and is used by people moving in teams to contact one another. Hiking activities are typically carried out in unfamiliar terrains covered by thick plantation, mountains and, other features that make it quite easy to lose track and get lost. Even expert hikers, at one point or another, need help staying on track with other hikers. Handheld GPS units come in handy for both teams and individuals to plan and execute their hiking routes. This can be preplanned and shared to everyone so that all stay in route. In case one is lost, depending on the device, they can request for rescue using their device or alternatively communicate with other team members to help them find their way. What are some of the factors to look out for when buying a handheld GPS Device? As hiking expeditions are sometimes filled with uncertainties like bad weather, trail challenges, you need a GPS to communicate, get direction, and also to determine where you are. 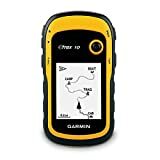 The best hiking GPS will come with added convenient features like camera, GPS, and GLONASS network receiver, and a 3-axis compass with a barometric altimeter to measure changing pressure and altitude. In our buyer’s’ guide, we have put together some valuable information and insight about handheld GPS devices which should help you know more about these devices and also make the best selection. The best handheld GPS devices are battery powered. These batteries last at least 10 hours and are replaceable when the need arises. It is quite in order to always carry along extra batteries to your hiking trip to stay on track. Hiking GPS should be light in weight to reduce weight exerted on the hiker. The size is also important for a portable device. You want a device that fits well in your hands and is not bulky. The best walking GPS devices are easy to operate and user-friendly. It should be easy to organize and share your routes with other members. Most of these devices will come preloaded with worldwide basemap and have an easy to use interface. There are 32 US satellites and 24 Russian satellites orbiting the earth. Devices that are WAAS-enabled use both types of satellites for accurate, fast positioning satellite imagery. This makes it very easy to find your way through thick terrains. Consider how else a GPS device will be useful. Can you use it as a camera, a storage device, for messaging or sending out distress calls? This way, you will be sure to eliminate other unnecessary devices during your trip because their functions are captured in this one device. We set out to identify some of the best handheld GPS devices and came up with the following review. In addition, we have put together an information-packed buyer’s guide to help you pick out what’s best for you. The GPSMAP 64st handheld GPS by Garmin makes it top of our review as the best hiking GPS and for the right reasons. This unit, like the others by Garmin, comes integrated with a tri-axial compass with a barometric altimeter. Typically, with ordinary GPS handhelds, you have to be in motion for them to capture the direction you’re facing but with the tri-axial feature, whether you are standing still or walking, it is possible to determine your direction. The barometric altimeter records pressure and altitude changes. Being among the best device in terms of storage, Garmin GPSMAP 64st comes with an incredible internal memory of 8GB. This is highly essential if you want to share your hiking experience with others and store other important landmarks and routes that you will need to revisit. Additionally, it comes preloaded with 100k maps for all of US, Puerto Rico, Alaska, and Hawaii. The GPS and GLONASS sensitive receiver is a great asset as far as a quick determination of your position or location is required, thanks to its quad helix antenna. The satellite images are highly detailed and hikers are able to get a clear picture of how the terrain is and be better prepared with the 160 by 240-pixel resolution and a sunlight-readable 2.6-inch color screen. The Foretrex 401 waterproof unit by Garmin brings together some essential features for hikers, including high reception capabilities with Hotfix, waterproof LCD display, as well as a barometric altimeter for location determination even in areas heavily covered by trees and canopy. For these reasons, it has garnered some great handheld GPS reviews from users. This handheld GPS device is best for hiking in areas with a lot of canopy and tree cover thanks to its high reception GPS receiver with Hotfix designed to be highly sensitive to reception. It comes fitted with multiple accessories such as heart rate monitor, electronic compass, and barometric altimeter all in one wrist-mounted device for the best user experience. Its LCD display is equipped with a Tracback feature that makes it easy to retrace your steps in addition to the easy navigation of the device’s functions owing to its enhanced visibility. It uses 2, standard AAA batteries that last a minimum of 10 hours. Finally, with this unit, you get to store up memories of your adventure thanks to its internal memory and a USB port for connecting to your PC. At a glance, you will be charmed by the rugged design of this handheld GPS for hiking. Yet, the eTrex 10 GPS device packs some amazing features including a preloaded worldwide map. It makes an ideal for any hiker looking for a simplistic device. Garmin eTrex 10 Worldwide Handheld GPS Navigator provides reliable navigation device with up to 20 hours battery life. This is a key feature to consider for prolonged hiking activities. It comes preloaded with worldwide maps and provides a great display of the hiking area. This handheld GPS is waterproof too meaning there is no worrying about it being affected by water especially during wet seasons or at peaks of hills which tend to be chilly. Additionally, with the 3-axis feature, you can determine where you are facing even when not in motion. For those looking for an adaptable device, this is the best device for their hiking. With a touchscreen display measuring 3 inches, the Garmin Oregon 600 makes a good choice for those concerned about a good satellite reception and quick efficient navigation. If you enjoy sharing your photos with friends, this is the best GPS device to use. It is Bluetooth enabled and allows wireless transfer of routes, photos, geocaches, or custom maps. Its touchscreen display allows you to choose to switch between portrait and landscape views. 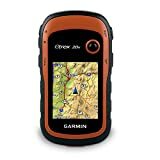 Garmin Oregon 600 3-Inch Worldwide Handheld GPS is both GLONASS and GPS enabled providing excellent reception and satellite positioning. It also features a 3-axis electronic compass for accurate recording of your location whether you are in motion or not. The Garmin eTrex 20x resembles the Garmin eTrex 20 but certainly comes with more enhanced features like better resolution at 240 x 320 pixels and a larger internal memory at 3.7 GB. Garmin eTrex 20x has an internal memory and external SD slot to store custom made maps. It has a high-resolution 2.2-inch color screen of 240 by 320 pixels guaranteeing clarity on satellite images. The screen is specially designed to allow viewing even in direct sunlight in addition to its dust, dirt, humidity, and water resistance ability. The preloaded basemap and WAAS support navigation make it easy and fast to locate positions. The combination of GPS, GLONASS and Hotfix satellites guarantee accurate and real-time navigation as well as the reception in deep canopy areas. What’s more, you can now subscribe to BirdsEye imagery to have satellite images incorporated in your stored maps. Beyond features common with Garmin GPS devices, the InReach Explorer by DeLorme comes in with SOS tracking which allows users to send out distress communications to rescue teams, a record battery life of 100 hours, as well as two-way satellite messaging. DeLorme AG-008727-201 InReach Explorer handheld GPS is the most versatile device currently available. It features two-way satellite communication networks and enabled to send and receive short messages. It allows pre-planning and sharing of hiking routes from one device to another. A key distinguishing feature is the SOS trigger capability to send out communication to a 24-hour dedicated rescue team when in need of help. It allows for communication between you and the rescue team and tracking of locations until they are able to find you. This makes it quite useful especially in areas with deep canopy cover as you could easily get lost or trapped in bad weather. One downside is its small size 1.8-inch display screen which shouldn’t be quite an issue considering all other remarkable features that make this unit the best GPS for hiking. Quite unique features about the Montana 680 by Garmin are its 8-megapixel camera to let you capture those memorable moments during your adventure and the larger than the ordinary touch screen at 4 inches for quick, easy navigation. 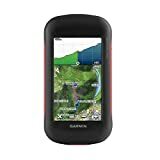 Garmin Montana 680 Touchscreen GPS/GLONASS Receiver comes preloaded with 250,000 geocaches and a 1-year subscription to Birdseye satellite imagery. This makes it easy and fast to locate and view your routes and prepare accordingly for you expeditions using the BaseCamp software. It features a high-resolution camera to capture great pictures and videos during your hiking activities and a large 4-inch touchscreen for a better view. This unit is the best handheld GPS for those who love to document and share their experiences with others. Additionally, a large touch screen, perhaps double the size of other GPS devices, helps you navigate the device’s functions easily. Handheld GPS devices have greatly evolved from the first device developed in 1989 to better and more efficient gadgets. The importance of a handheld GPS device cannot be overshadowed even by the most sophisticated mobile phones or tablets. They still remain to be a critical device for people who engage in outdoor activities which include going into areas they are not familiar with. Whether it’s a sporting or professional activity, handheld devices play an important role to keep everyone on the right track. Check out our handheld GPS reviews for a better understanding of each device and choose one that best addresses your needs. I always trust Garmin brand. Had three of them already and now buying my fourth. Don’t get me wrong, they did not break down. I am simply upgrading. No doubts, Alfred. Garmin is known for it’s models’ reliability and innovation. Great choice! This might mean that the phone is enough for you. The phone has its pros and cons, as you probably have noticed already.